Child Custody in Tennessee: When May a Parent Relocate with Children? If your client is petitioning to move with a custodial child, or if your client wishes to prevent the other parent from moving with the child, what are their options? Attorneys practicing family law facing issues of parental relocation within Tennessee, outside the state, or even outside the country, have to incorporate the latest court decisions into client counsel strategy. What factors will Tennessee courts consider in deciding whether to allow the parent to relocate with the child(ren)? Will the parent’s relocation result in a change of custody? Make plans to participate in this one-hour, on-demand audio conference on crucial practice pointers and a review of recent appellate court decisions with direct bearing on how you should proceed. Case 1: Was a father's stated opposition to the mother's relocation in compliance with the statute? Case 2: What bearing does the best interest of the children have on permission to relocate with them? Case 3: What kind of evidence of economic necessity and career enhancement will influence a court's decision in favor of a move? Tennessee attorney Kevin Shepherd will address these cases and more. Is the motive for relocation vindictive? Does relocation serve reasonable purpose? Child Custody in Tennessee: When May a Parent Relocate with Children? — is just $107. Kevin Shepherd has more than 20 years of experience and is currently in solo practice with an office located in Maryville. He also has a branch office in Franklin. He practices in the areas of family law, divorce, personal injury, criminal defense, appellate practice and general practice. 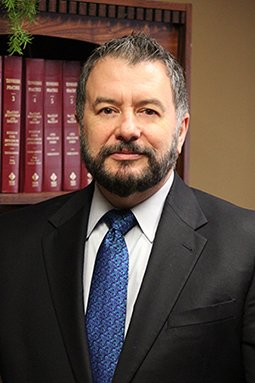 He is a Tennessee Supreme Court Rule 31 family law mediator. Mr. Shepherd earned his J.D. from the University of Tennessee at Knoxville. He is a member of the Tennessee Association for Justice and is a well-received speaker at legal seminars. If you ordered an on-demand audio conference, your access instructions with link to download all materials will be sent to you via email within 24 hours of the program airing. Please add Custserv@blr.com to your safe sender list to ensure delivery. NOTE: On-Demand audio conferences are not eligible for CLE credit.